Pro-Constitution Press Conference in Harrisburg! Come out to Harrisburg Thursday, March 29 and support our efforts to keep the Constitution and Bill of rights safe from a Dangerous attempt expose it to a modern Constitutional Convention (Con-Con). Hal Shurtleff, of Camp Constitution, will hold a press conference at which time he will list reasons why every American should be on guard against this fraudulently sold “solution” to what ails America. It’s a solution alright – A final solution to the American problem for the international socialists. Click here or on the image above for a sharable pdf and a copy of the model resolution to cancel all previous calls for a con-con in Pennsylvania. A recent facebook exchange between a COS Con-con supporter and the COS moderator is very revealing. Take a look at this 3 minute video. An organization founded by Mark Meckler called “Convention of States” has its lobbyists in state houses across the United States promoting an Article V Convention. Their paid lobbyists and supporters have every right to promote one but what they don’t have a right to do is to smear honorable people who oppose one, and that is what they recently did in New Hampshire. One of the members of the NH State Senate Committee Kevin Avard is now opposing SCR4 due to a donation he recently received for his campaign by the John Birch Society who is against us. Senator Avard is from District 12 which includes Brookline, Greenville, Hollis, Mason, New Ipswich, Rindge, & Wards 1, 2, & 5 in the City of Nashua. Make a call and leave a voice message to Senator Avard today at 603-271-4151 and tell him to support SCR4! Don’t forget to leave your name and the town you are calling from. On behalf of Convention of States Action New Hampshire, I would like to publicly apologize to Senator Avard for the email message that was sent yesterday by our former volunteer Grassroots Coordinator, Priscilla Mills. The information in the message was inaccurate and I am truly sorry that it was sent. Please disregard it in its entirety. I believe that Senator Avard continues to seriously consider both sides of SCR4, and I hope that this recent error in judgment by one of our former volunteers will not prevent him from focusing his attention on the critical substance of this issue for our nation. For the foreseeable future, I will be the only volunteer sending out communications on behalf of COS Action New Hampshire, and I will ensure that no further incorrect information is disseminated. I sincerely hope that Senator Avard will forgive us and will not hold this error in judgment (made by one volunteer) against our entire statewide or national movement. Mr. Therriault called Ms. Mills smear “inaccurate information”, and her deed simply “an error of judgment.” Hal Shurtleff didn’t agree… “It was not inaccurate information, it was a bold face lie, Shurtleff said, “An error of judgment?” No, it was a hateful attempt to destroy the reputation of an honorable elected official, and the good men and women who make up The John Birch Society.” Readers should note that no apology was forthcoming to members of The John Birch Society. Mr. Shurtleff wanted to make it clear that the sponsor of the resolution calling for an Article V Convention, Senator Gary Daniels of Milford, NH is “an honorable man who has nothing to do with this ugly tactic.” Please note that if wasn’t for Mr. Shurtleff’s friend, this lie would not have been uncovered. It begs the question: How many E-mails of this nature went out to Convention of States supporters that were not detected? 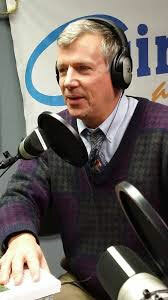 Mr. McNally is the host of the radio show “Literacy Matters” heard on WSMN in Nashua on Mondays 9-10am, and the recipient of the NHCCS 2015 Loyalty Award (National Center for Constitutional Studies). 2016 Promises to be a very active year for Con-Con battles across the United States. The magic number necessary for a Convention call is 34 state applications. As of this writing there are 27 states with an active call on the books. Some of these active calls are very old. Take Pennsylvania for instance; the last active call by Pennsylvania was in 1979 yet the Con-Con advocates want to count that in the total towards the necessary 34. The con-con advocates are leaving nothing to chance, however, as they routinely get newer calls introduced in those states in an effort to update the calls and remediate any potential challenges down the road. #1. : HR 374 & SR 170, HR 63, HR 378 Are three new pieces of legislation being considered in Pennsylvania during the 2015-2016 legislative session. There may be more so it is important to oppose all resolutions which invoke a “Convention pursuant to Article V of the Constitution of the United States“. #2: There are 4 Active calls dating back to 1943. That’s right, 1943. There are no end dates on these resolutions so it is impossible to know what the Congress would do with regard to these. It would seem logical that a convention call should require a consensus of current constituents in all 34 states at one-time, however, there are no assurances with regard to this unused process. We’re blazing new ground here. This is where membership in a national organization is extremely helpful. You see, if Pennsylvania JBS members concentrate on opposing the con-con network in Pennsylvania, they can be assured that members in the other states will do so as well. This is at least the third iteration of this battle over the last 50 years and the con-con network has failed every time. The battle must be contested in every state to be sure the magic number 34 is not attained. Now, the JBS needs the help of concerned citizens of Pennsylvania. Member or not, your freedom hangs in the balance and our success will allow you and your loved-ones to enjoy the protections afforded the American People by the Bill of Rights. Here’s what needs to be done. #1. We need to continue to oppose all con-con calls currently under consideration. Here is a letter I penned to accomplish this. Simply download this letter. Change the items in red to personalize it and send it to your local officials and the State Government Committee of the General Assembly and the Senate. Links are provided for easy lookup of those needed to be contacted. #2. Ask you local representative or senator to have the 4 ancient active calls repealed. Here Is a packet of information to assist you in that endeavor along with a sample resolution, the 4 outstanding calls and sample rescissions in several other states. #4. As a more permanent solution, we should advocate legislation that would require a moratorium clause be included in future resolutions and expire all resolutions not acted upon after 7 years of passage if no moratorium is placed within the resolution. The legislation should act retroactively upon outstanding, dormant resolutions. Having to address resolutions going back to 1943 is asinine. I will be following up on this possibility. Your advice or help in this is appreciated. Here is a pack of documents to help you in the process: “No Con-Con Documentation Packet“. For more information on this JBS action project go to http://www.jbs.org/issues-pages/no-con-con. KrisAnne Hall is an attorney and former prosecutor, fired after teaching the Constitution to TEA Party groups – she would not sacrifice liberty for a paycheck. She is a disabled veteran of the US Army, a Russian linguist, a mother, a pastor’s wife and a patriot. She now travels the country and teaches the Constitution and the history that gave us our founding documents. She is a dynamic speaker and she will share tremendous information and historical facts every American should know. Watch The Presentation On The FEDERALEXPRESSION Youtube Channel. KrisAnne Hall is an attorney and former prosecutor, fired after teaching the Constitution to TEA Party groups – she would not sacrifice liberty for a paycheck. She is a disabled veteran of the US Army, a Russian linguist, a mother, a pastor’s wife and a patriot. She now travels the country and teaches the Constitution and the history that gave us our founding documents. She is a dynamic speaker and she will share tremendous information and historical facts every American should know. Click the Image to Download the Flyer !!! or Click Here. The Birth of A New Constitution: The historical precedent which establishes a proof for the claim that a modern Constitutional Convention cannot be constrained. Let us set aside for a moment arguments for and against a modern Constitutional Convention. Instead, let’s analyze the reasons why the John Birch Society warns against a probable run-away convention. Proponents of a Constitutional Convention assure the people that a convention would be limited by the resolutions which empower the meeting and that the ratification of the several states would protect the people from bad amendments. The John Birch Society maintains that the language of the resolutions establishes a convention and its purpose but cannot constrain the power of the delegates who act in a capacity superior to the existing framework of government. They further maintain that the ratification process of the existing governmental framework can also be amended as it is part of the framework that is being modified. The JBS does not reference anything within Article V that supports their assertions, so how do they justify their position? It is justified by an understanding of the historical precedent established in 1787. “Resolved, That these United Colonies are, and of right ought to be, free and independent States, that they are absolved from all allegiance to the British Crown, and that all political connection between them and the State of Great Britain is, and ought to be, totally dissolved. This resolution resulted in 1) The Declaration of Independence, 2) The Articles of Confederation and 3) The foreign alliances thought necessary to win the War for Independence. The Annapolis Maryland Convention in 1786 resolved that a Constitutional Convention should be called to remedy defects in the Articles of Confederation. Having the force of a resolution of the Congress, the States in turn, all but one, did appoint delegates to a convention in Philadelphia. This convention later became known as the Constitutional Convention, having derived its name from the fact that its primary fruit was the Constitution that we now discuss. The references above illustrate that this convention was called to amend the Articles of Confederation in order to remedy its defects. Interestingly, one of its defects was considered the ratification process. Let’s look at the ratification clause in the Articles. This point is important, because, the ratification clause within the Constitution is held up as a safeguard for a future convention, so this precedent seems to indicate that that is a logical fallacy. Is it fair to classify the Convention of 1787 as a runaway convention? If “runaway” is defined as having exceeded the mandates upon which it was called, yes. If “runaway” is defined as having altered the ratification process, yes. The Convention of 1787 most assuredly was a runaway convention, however, that does not negate its effectiveness nor its legitimacy. It does, however, provide justification for concern and prudence when deliberating the possibility of a second convention today. Sect. II. BE it therefore enacted by the General Assembly of the Commonwealth of Virginia, That seven Commissioners be appointed by joint ballot of both Houses of Assembly, who, or any three of them, are hereby authorized as Deputies from this Commonwealth, to meet such Deputies as may be appointed and authorised by other States, to assemble in Convention at Philadelphia, as above recommended, and to join with them in devising and discussing all such alterations and further provisions, as may be necessary to render the Federal Constitution adequate to the exigencies of the Union; and in reporting such an Act for that purpose, to the United States in Congress, as, when agreed to by them, and duly confirmed by the several States, will effectually provide for the same. Resolved, That the Honorable David Brearley, William C. Houston, William Paterson and John Neilson, esquires, commissioners appointed on the part of this state, or any three of them, be, and they hereby are authorized and empowered to meet such commissioners as have been or may be appointed by the other states in the Union at the city of Philadelphia, in the commonwealth of Pennsylvania, on the second Monday in May next, for the purpose of taking into consideration the state of the Union as to trade and other important objects, and of devising such further provisions as shall appear necessary to render the Constitution of the federal government adequate to the exigencies thereof. Be it ordained by the Representatives of the Freemen of the State of Georgia, in General Assembly met, and by the authority of the same, That William Few, Abraham Baldwin, William Pierce, George Walton, William Houstoun, and Nathaniel Pendleton, Esquires, be, and they are hereby appointed commissioners, who, or any two or more of them, are hereby authorised as deputies from this state to meet such deputies as may be appointed and authorised by other states, to assemble in convention at Philadelphia, and to join with them in devising and discussing all such alterations and farther provisions, as may be necessary to render the federal constitution adequate to the exigencies of the union, and in reporting such an Act for that purpose to the United States in Congress assembled, as when agreed to by them, and duly confirmed by the several states, will effectually provide for the same. In case of the death of any of the said deputies, or of their declining their appointments, the Executive are hereby authorised to supply such vacancies. Resolved (if the honorable the Senate concur herein), That five delegates be appointed on the part of this state, to meet such delegates as may be appointed on the part of the other states respectively, on the second Monday in May next, at Philadelphia, for the sole and express purpose of revising the Articles of Confederation and reporting to Congress, and to the several legislatures, such alterations and provisions therein, as shall, when agreed to in Congress, and confirmed by the several states, render the federal constitution adequate to the exigencies of government and the preservation of the Union; and that in case of such concurrence, the two houses of the legislature will meet, on Thursday next, at such place as the honorable the Senate shall think proper, for the purpose of electing the said delegates, by joint ballot. Be it enacted by the honorable the senate and house of representatives now met and sitting in general assembly, and by the authority of the same, THAT five commissioners … by virtue of this act. shall be and are hereby authorised as deputies from this state. to meet such deputies or commissioners as may be appointed and authorised by other of the united states, to assemble in convention at the city of Philadelphia in the month of May next after passing this act. or as soon thereafter as may be, and to join with such deputies or commissioners, they being duly authorised and impowered in devising and discussing all such alterations, clauses, articles and provisions as may be thought necessary to render the federal constitution entirely adequate to the actual situation and future good government of the confederated states, and that the said deputies or commissioners, or a majority of those who shall be present, provided the state be not represented by less than two, do join in reporting such an act to the united states in congress assembled, as when approved and agreed to by them, and duly ratified and confirmed by the several states, will effectually provide for the exigencies of the union. That the Honble William S. Johnson, Roger Sherman & Oliver Ellsworth Esqrs be, and they hereby are, appointed Delegates to attend the sd Convention, and are requested to proceed to the City of Philadelphia for that Purpose, without Delay, and the said Delegates, and in Case of Sickness or Accident, such one or more of them, as shall actually attend the said Convention, is and are hereby authorized and impowered to represent this State therein, & to confer with such Delegates appointed by the several States, for the Purposes mentioned in the sd Act of Congress, that may be present and duly empowered to act in said Convention, and to discuss upon such Alterations and Provisions, agreeable to the general Principles of Republican Government, as they shall think proper, to render the federal Constitution adequate to the Exigencies of Government, and the Preservation of the Union; and they are further directed, pursuant to the said Act of Congress, to report such Alterations and Provisions, as may be agreed to, by a Majority of the united States represented in Convention, to the Congress of the United States, and to the General Assembly of this State. As the Freemen at large here have the Power of electing Delegates to represent them in Congress, we could not consistantly appoint Delegates in a Convention, which might be the means of dissolving the Congress of the Union and having a Congress without a Confederation. It is clear by the 12 resolutions empowering delegates and the refusal to do so on the part of Rhode Island that the intended purpose of the Convention was to amend the Articles not replace them but Rhode Island certainly saw the possibility of a greater change. It is also clear that the state legislatures fully expected to have an opportunity to approve or reject the plan that would be produced by the convention. The idea of unanimous consent was abrogated and the several State Legislatures were circumvented in favor of state conventions. Even the argument that the new Constitution was simply an alteration of the Articles of Confederation will not hold water for two reasons: 1) Some of the language in the new Constitution is careful to distinguish between treaties entered into under the Constitution and those entered under the ”Authority of the United States” which draws a distinction and 2) amendments to the Articles of Confederation required “such alteration be agreed to in a Congress of the United States, and be afterwards confirmed by the legislatures of every State”; a procedure which was not followed. It is reasonable to assume, therefore that Congress will attempt to set the time, location and manner in which a proposed convention would be held. They may also deign to determine the method by which delegates would be appointed, pay for service, and other open-ended issues not specifically outlined within the Constitution. The John Birch Society is correct in its assertions. If you value liberty, you should seek alternative routes to that end. Visit http://jbs.org for their recommended alternatives. Alert! A rather insidious assault on the Constitution has been in progress for many years now in the form of a continual erosion of the rights of the people, the ignoring of checks and balances, the creation of extra-constitutional branches of government and the defiant redefinition of the document itself. Yet now, as perhaps never before seen, there is a two-fold attack on the United States Constitution which is being perpetrated by both “Conservative” and “Liberal” interests simultaneously under the auspices of Domestic and Foreign Policy. While both political factions tend to oppose one another in these two areas, the solution each faction promotes would ultimately “fundamentally change” America. The Obama Administration is in the process of hammering out two new “Free Trade” agreements in backroom negotiations. 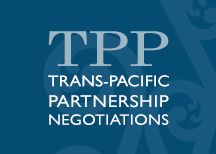 The two treaties are the Trans Pacific Partnership (TPP) and the Trans-Atlantic Trade and Investment Partnership (TTIP). The TPP would establish a partnership in which the United States would join with Pacific rim nations in a regional super-governmental structure in which US domestic law would be brought into conformity with that of the other block members. 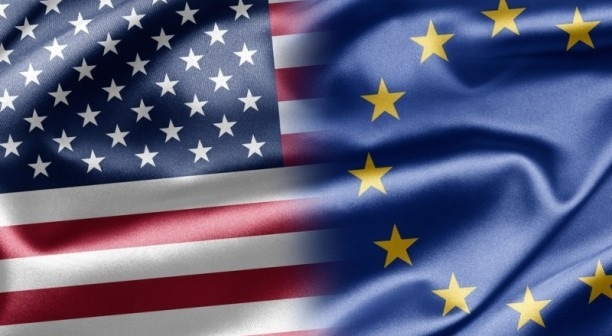 The TTIP would accomplish much the same with nations in the Atlantic region, namely, the European Union nations. Enforcement of the harmonizing of law amongst these blocks of nations would require new international agencies. One can easily see, that the creation of these new agencies by our Congress would move the responsibility of law making out of the hands of our elected representatives to agency members not directly affected by the will of the voting public. In other words, the people of our nation will have lost its ability to affect legislation in these areas. Furthermore, dispute resolution would necessarily need to be handled in tribunals which represent the interests of the partnerships as a whole. Therefore, American businesses will be subject to the will of non-American or super-national panels without recourse to the national legislature. It is difficult to discuss exact details of these treaties at this time because the negotiations are closed to Congress and the American people. The secrecy in which these negotiations are being conducted is foreboding. I suppose we have to pass the “Partnerships” to find out what is in them. What we do know is that they are being treated as if they are treaties and we are reminded that Treaty Law supersedes the Constitution. Despite the fact that there is ample evidence to show that treaties are invalid when they attempt to alter the Constitution, much damage has already been done in this manner through NAFTA and the WTO while our domestic courts have ignored these abuses. See the free magazine link below which details what we know at this time. Meanwhile, in an attempt to arrest the abuses of a run-away federal leviathan in Washington, our “Conservative” leaders are dreaming up new ways to destroy our Constitution. 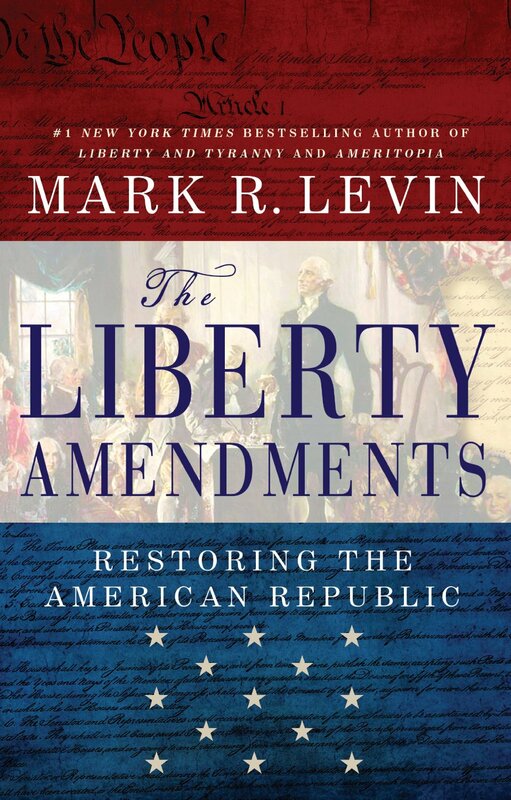 The latest fad is that of the Liberty Amendments being promoted by Mark Levin. This movement is quite insidious and rather ingenious. While the various problems discussed by Mr. Levin are real, genuine concerns, the poison is in the solution. A Constitutional Convention call could accomplish all of the planks of the “Liberal Left” at once, even if it were called by “Conservatives” for the exact opposite intentions. Please understand, I am not opposed to the intentions, the reasoning, or the correction of real abuses. I oppose the method of solution and here is why. The methods established within the Constitution to invoke this abolition or altering of the government is the Article V process. One such method is via a Constitutional Convention commonly called a Con-Con. There is a reason this method is not normally used. Once this process is invoked and delegates are appointed, they would operate with the sovereign power of the people. This raw power must operate outside the confines of the governmental form which they seek to alter or abolish and there is no authority on earth which can restrain it. We are told that the amendments they would seek to establish would require ratification by the existing state governments. Is that a guarantee? No. Theoretically, the existing ratification process could be altered or abolished during this process. We have the historical precedent of the 1787 Constitutional Convention to prove that fact. What happened to the unanimous consent requirement? So, I caution my fellow countrymen. Do not be so gullible as to accept these assurances. There are no assurances. Ask yourself a simple question. In a country in which its leaders refuse to obey the contract of government, what makes our “Conservative” leadership believe that new amendments will be obeyed? The solution to America’s woes ultimately come down to the American people having the will to enforce the Constitution as it is written and as it is intended. That need will still exist regardless of how many amendments we pass. The primary goal of all Americans must be to preserve the Constitution. For as long as this document stands as a bulwark against dictatorship, we have recourse to it. We have the ability to enforce it. If we allow either the “Left” to Supersede it via dangerous regional partnerships or the “Right” to alter it through convention, all bets are off. So, all men of good will need the Constitution. Our course of action is simple: Defend it and enforce it!